Actually helicopter officer (regardless of doctrine) requires any of basic helicopters researched, be it gunship, attack or ASW. As to ferry range I'm pretty sure tank ace is wrong, shouldn't be able to get that far at tier 1. But why ASW?? This is nonsens, change it with gunship lilke the other doctrines. In the begining of a game I use often helicopters, but never I researched an ASW helicopter in the beginning of a game. Later yes, but an ASW research in the bgining is for waste. Also the most important european doctrin officer researches are later than the other doctrin researches. I have copy the 3 research trees and I looked. Why is the western tank officer researches earlier than the european tank officer research? The western MBT is the latest, the eastern the earliest and the european between. The post was edited 3 times, last by Seele07 ( Oct 26th 2018, 11:30am ). You can research either Helicopter Gunship OR Attack Helicopter OR ASW helicopter to unlock Helicopter Officer. I doesn't matter which one. Ok, but in the description is written ASW helicopter as requirment. Actually it does say in the officer descriptions which units exactly are required. The tooltip just selects the first one on a list. It's a known issue. What is with your beret(western doctrin) ? the unit=model in the game has a green beret and I prefer also a green beret . The post was edited 1 time, last by Seele07 ( Oct 26th 2018, 11:06am ). I believe I am wearing a dusted up Ranger beret - with some Navy Seal slick underneath hehe. I dont know what warship the other doctrines (eastern/europe) have, but I want to prefer the Zumwalt- class model for the navy officer on tier 2 not on tier 1. Tier 1 may be the cruiser model. 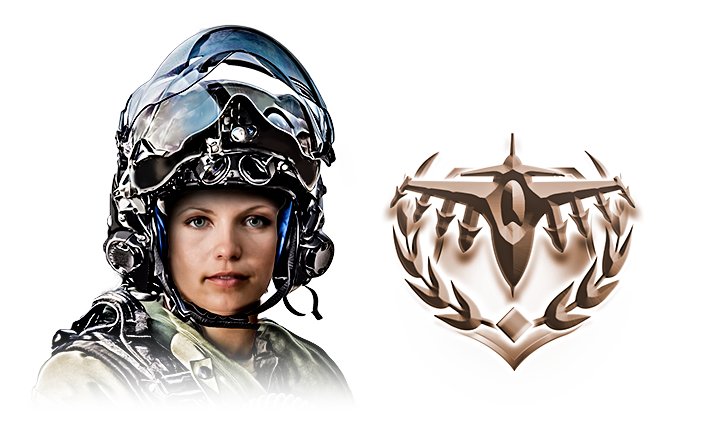 I'm a bit sad, that you went with an all male cast and dropped the cute fighter ace girl from the dev blog 5. But i guess you have reasons for this. The post was edited 2 times, last by Prosac ( Nov 8th 2018, 9:55pm ). Too cute to be true. I am just as sad. We had it all worked out until we found that the sfx system could not differentiate between different characters within one class of officers. This basically meant we would have had to delay the launch by several weeks working on an otherwise unused sound expansion. It would also have delayed our efforts in developing the much requested mobile client of CON. This resulted in me taking a tough decision: dropping flthe female officers we had already designed. I had wanted them in to showcase the importance of female skill and leadership in modern military forces all over the world, but failed to achieve my goal for an in most game engines absurdly simple task: making men and woman play different sound files. LOL It's funny to me how some times in programming, what seems like a very simple task, is some how impractical or impossible to accomplish, due to some foundational designs structure that can't be altered in a practical way. Thank you for sharing the reasoning behind it. It certainly helps to know the 'why' behind it.